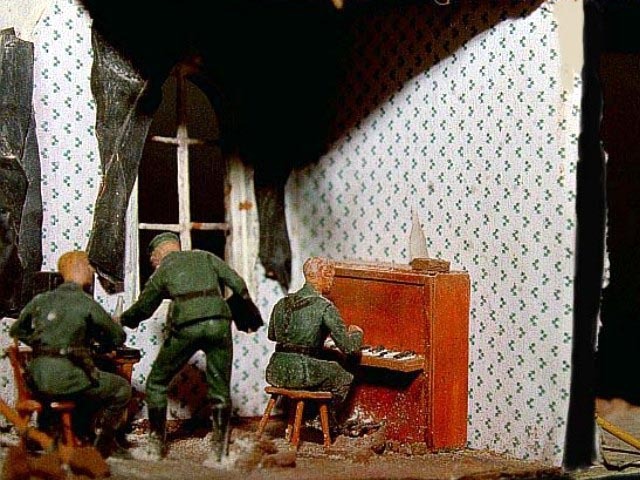 The diorama with poetic title shows members of division "Müncheberg" preparing for Battle of Berlin. 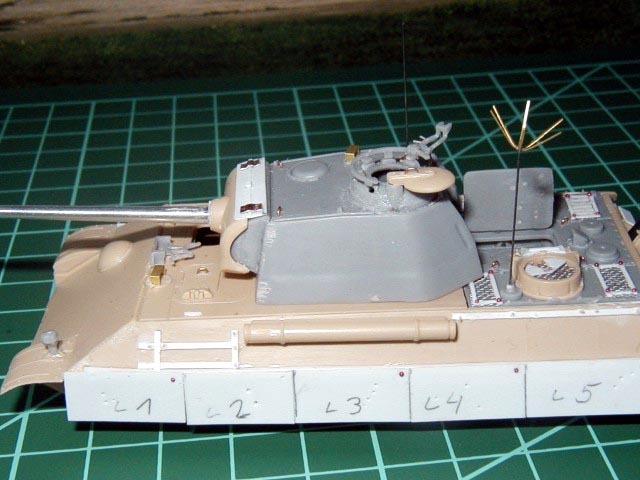 The model of late version of command tank Panther Ausf.G is kitbash of Revell hull, Dragon turret and Hasegawa all steel Wheel (Stahllaufrollen). 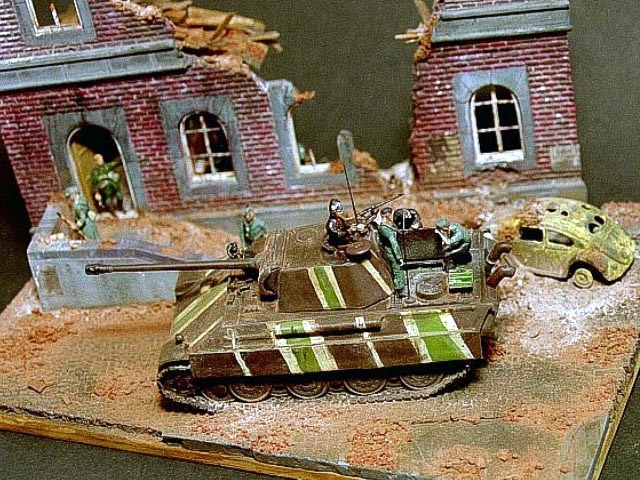 Metal barrel from Army in detail and Extratech etchings used as well as many scratch parts. 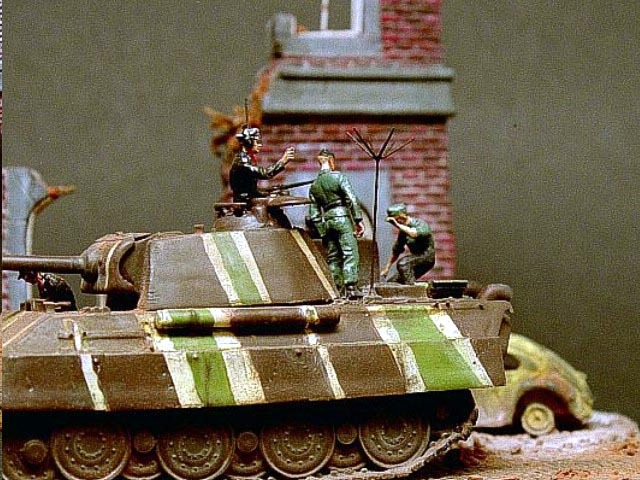 Model of damaged Volkswagen Käfer “Beetle“ is built from TP models resin kit. 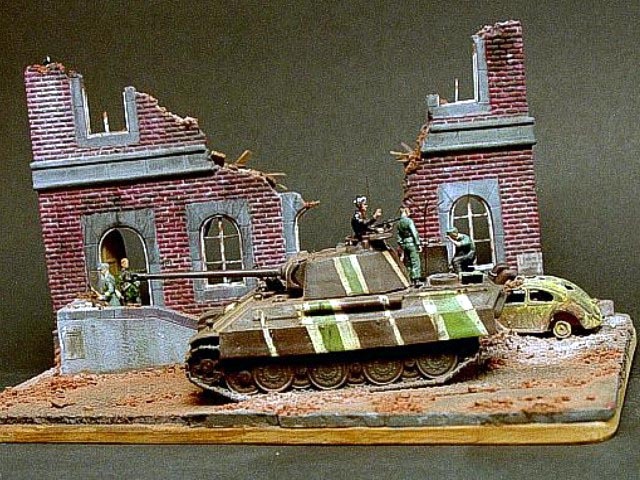 The ruined building is from Modell Manufaktur but has completely scratchbuilt interior. Soldiers are modified Preiser figures.